People who are gluten intolerant or struggle with a gluten allergy often suffer for years before discovering the source of various ailments such as bloated gut, hair loss, fatigue, and a long list of other symptoms. So, what is gluten? Gluten is a protein found in wheat, rye, barley, malts, or triticale many find they cannot digest properly. This inability to process gluten leads to a host of health problems, including Celiac disease, which is a condition involving the immune system. Gluten is used as an additive to thicken and flavor foods, so it is everywhere. The most severe response to gluten is Celiac disease. Celiac disease is a genetic, auto-immune disorder. Without getting into the weeds of CD, and for purposes of this article, we’ll just state that gluten is always present in foods consumed by those who develop Celiac disease. While there is no specific test for gluten sensitivity, there is a test for Celiac Disease. If you are diagnosed with CD, then you must remove gluten from your diet. If you do not have CD, you should avoid gluten as best you can anyway. Humans need water to survive, they don’t need gluten. Does this mean most foods, especially the ones you love, are off limits for the rest of your life? Nope, it does not. What it does mean, however, is you will need to make some changes in your diet. And, quite frankly, those foods you should avoid are probably foods you shouldn’t be eating anyway, whether you are gluten intolerant or not. Limiting your food choices doesn’t mean your new diet has to be bland or boring. In fact, since gluten has been identified as the culprit of many medical conditions, more and more food manufacturers are producing “gluten-free” food products. These alternatives make the transition less difficult. These gluten-free foods will keep you from feeling deprived. In fact, by taking the time to follow a few simple guidelines, you will find the process relatively simple. Many people don’t even know they are gluten intolerant because the symptoms are so commonplace. For years we’ve lived with headaches, heart burn, feeling tired for no good reason, a myriad of digestive problems, or just suffering poor health because we are getting old. Let’s discuss a few indicators of possible gluten intolerance. If you develop migraines or other types of headaches after your meals, that could be an indication of gluten intolerance. While you may use aspirin to treat your headaches, it does nothing to solve the problem. A gluten-free lifestyle can put an end to your gluten-related headaches absent any other medical condition. You need to check with your doctor for an in-depth diagnosis. Are you always feeling lethargic? Your energy level is another indicator. If you are gluten intolerant, you may feel totally drained after a gluten-laden meal because of the effects in the digestive tract. The larger the meal, the more exhausted you feel. Chronic fatigue is also associated with gluten even though this illness is difficult to diagnose. There is no doubt that gluten-related fatigue is debilitating. For patients suffering from chronic fatigue, a gluten-free diet is known to be beneficial even though the symptoms may still be present for some time after going gluten-free. Cramping, diarrhea, and constipation are possible symptoms of gluten intolerance. Remove gluten from your diet to see if your symptoms go away. If not, check with your doctor. These are also indicators of celiac disease. Inflammation is at the root of most medical conditions we develop including diabetes, obesity, heart disease, and more. It is your body’s healing response to injury. 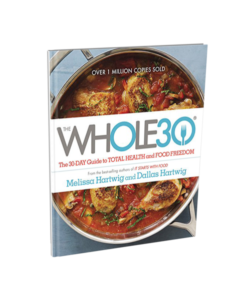 But when inflammation is chronic and your immune system goes into overdrive to reduce the inflammation, sickness and weight gain can, and often does, occur. One of the causes that contribute to inflammation is a poor diet; a diet which consists of inflammation-inducing foods leading to a state of chronic inflammation. Body aches, swollen joints, poor blood circulation are signs you are suffering from inflammation. It’s quite possible you are gluten intolerant. If you suddenly develop rashes, eczema, dermatitis herpetiformis, or keratosis pilaris, it could be gluten-related. Remove gluten from your diet to see if the condition improves. If not, you need to check with your doctor for a proper diagnosis. Check out this article https://www.glutenfreeschool.com/2017/10/31/gluten-skin-problems/ to learn more about skin problems related to gluten. Anxiety, depression, and brain fog are at times attributed to gluten sensitivity, so don’t ignore these conditions. While there are established protocols for depression and anxiety, removing gluten from your diet can’t hurt. Brain fog, being unable to think clearly or when you feel out of it, is also linked to gluten. The only true way to know if gluten is causing your problems is to stay clear of any foods containing gluten. If gluten is the cause of your symptoms, you will feel better within days. Then you will know. Doctors recommend avoiding gluten foods for at least one week as an experiment. You can then slowly re-introduce gluten into your diet to see if your symptoms reappear. The fact is, over the years we’ve become gluten intolerant and need to change the way we eat. 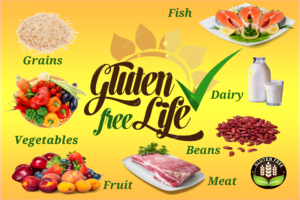 If you are one of the millions of people around the world that are gluten intolerant you need to start a gluten-free life… the sooner the better. There is no “cure” for this problem but you can make changes to minimize the adverse effects. If your body just can’t handle gluten, you need to change your lifestyle. Specifically, you need to change your entire diet and eat clean and healthy foods. The alternative is to continue to suffer. You may exercise daily, sleep well, keep stress under control, and do all those healthy things the books and experts recommend. But if your diet choices are poor, all your efforts will be for naught. The diet itself is simple. You have a list of foods to avoid and a list of foods that are allowed. All you need to do is follow the basic rules. You don’t need to extrapolate from incomplete data. It’s all plain and simple. The transition won’t be easy initially, but you do need to start somewhere. Here are 5 tips to help you make the change. The most important tip is that you must change your mindset. Many people renege on their gluten-free diet plan because they are feeling deprived of certain foods. My best advice is to get over it. You’re not missing anything. Sure, you may not be able to eat that yummy Chinese food that is drowning in soy sauce. But you do have options. There are other tasty foods available to you. You need to stop thinking about what you can’t eat and focus on what you can. This is the most crucial step in becoming gluten-free. Look for stores that sell gluten-free substitutes. Because gluten intolerance has become so wide-spread large supermarkets are now carrying gluten-free products; Safeway and Walmart come to mind. You can also check online for stores that will ship to you. You need to do your homework to find the products you need before you start your gluten-free lifestyle. Between shopping locally and shopping online, you won’t have the “it’s too inconvenient” excuse to fall back on. Line up your ducks in advance and do what it takes to stay the course. Do it yourself to cut costs. If buying gluten-free bread is too expensive, then purchase the ingredients and make your own if you really need bread. If the can of gluten-free chicken soup is too expensive, then make your own. I suspect homemade chicken soup is much tastier than anything you can buy off the shelf. The point is, going gluten-free doesn’t need to break your budget. Run a search for “gluten-free recipes” and you’ll probably find anything you want. You just need to get creative and put some effort into it. After all, we’re talking about your health for the long haul. Read food labels when you shop for food. You must know the ingredients that go into the food that ends up going into your mouth. Look for a seal on the package that states the product is gluten-free, or even just the words. Then make sure it’s on your “allowed” list. And while you’re at it, avoid products that have sugar or anything related. Eat natural and wholesome. Foods such as meat, fish, poultry, broccoli and other vegetables are gluten-free. You could adopt a Mediterranean diet style of cooking. The food will be tasty and healthy; you’ll get the best of both worlds. These are just some of the tips that you can use to maintain a gluten-free lifestyle. Thousands of people are doing it, so can you. Rest assured that all the sacrifices and effort will pay off when you look and feel better. That will motivate you to keep up with the gluten-free lifestyle. As you can see, being gluten intolerant can affect many areas of your life. Take an active interest in the way you feel and what you eat. If you’re planning on living a long, healthy life, you have to start today. Here’s to your happily ever after!